vcrary has shared a Delicious stack with you. A stack is a collection of links and comments around a theme. 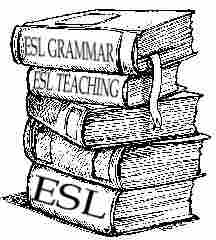 "Here is a collection of ESL websites designed for students to teach themselves. Good for teachers too. Please feel free to comment on the websites. Suggestions welcomed too. Guest can also be invited to contribute links, share stack building. This would make good collaborative project for Blogging ..."
Websites designed for students to teach themselves. Good for teachers too. Please feel free to comment on the websites and suggest more. Note: If you feel this is spam, please forward this email to violations@delicious.com and we'll look into it. PhraseMix.com helps you learn natural, native-like English, The site has over 1,000 free English lessons, and introduces a new English phrase each day. People don't speak a language well just by learning single words and grammar points. Instead, fluent speakers remember longer groups of words that work well together. When you memorize phrases and word combinations, it's easy to know what to say next.